We really can farm the old-fashioned way. Stockholders in mega-corporations may not see their portfolio values rise as fast and CEOs may have to sell a private island or two, but it can be done. Sleuth4Health would like to see the conversation around Big Food Genetic Engineering more centered on what really drives the technology – money. 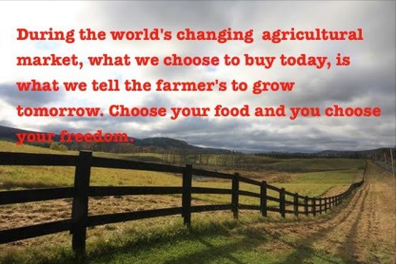 The industry rhetoric likes to say that GE will feed the world, but the fact is, we can feed the world without it. I own stocks and I like profits as well as the next guy – but not at the expense of the planet nor the people on it. Can we be people and earth friendly and still make money? I believe so. In my own life I am experiencing a fundamental shift in where I shop, what I shop for, and even what mutual funds and stocks I invest in. Sorting it all out takes time and there is so much to learn – but the journey has begun for me. Here is an article from Grist which reports on rice and potato farmers in India reaping record yields without GMOs or even chemicals. 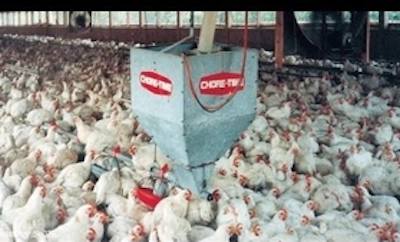 If you buy conventionally mass-produced chicken from the grocery store – (you know, the neatly trimmed, attractively priced chicken breasts that scream “buy me!”) chances are quite good that it comes from someplace that looks just like what you see in this photo. Is golden rice a golden ticket for GMO? It is no secret that most of my blog is devoted to news that questions the value of genetically modified technology in our food. But the issue is complicated, as are most hotly debated issues. I can’t unequivocally say that ALL nutritional genetic engineering is bad. This is precisely why this topic is so compelling to me. We really are becoming our own gods – capable of manipulating DNA – capable of mixing and matching genetic material – capable of saving lives – capable of destroying lives. It’s a mixed bag, folks. 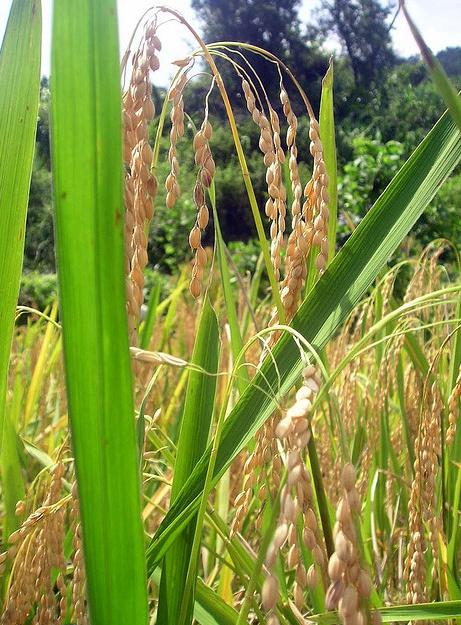 When it comes to vitamin A genetically engineered into rice to save whole populations from blindness and other disease – Sleuth4Health is a little more welcoming of the technology. But I need to know more, of course. The take away is this: A singular good/bad assessment of GE technology for food is counterproductive. It’s just not that simple. 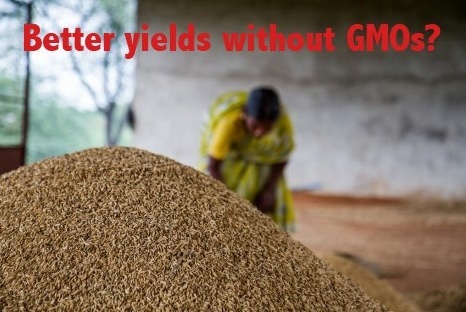 Read more about genetically engineered rice here in an article by Robin McKie at the Observer/Guardian. 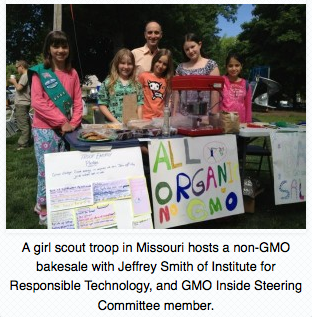 Elsewhere in the blogosphere I came across Milehimama and a post exposing what is really in girl scout cookies. Click here for a full list of all questionable ingredients in girl scout cookies. 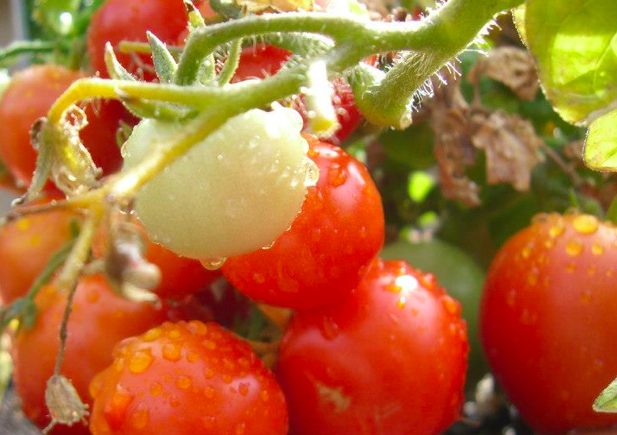 Heirlooms, Hybrids and GMOs, Oh My! As Spring approaches, many of us start thinking about what we might want to grow in the coming months, what seeds we may want to get a head start on – you know, the ones we plant indoors near that sunny south facing window – the ones we nurture and love from the very beginning. When it comes to buying seed, there are many choices. Some folks, myself included, may experience some confusion about seed terms. Until very recently, I wasn’t 100% sure of the difference between a hybrid, heirloom or GMO seed. Sleuth4Health found a very clear and informative article: Heirlooms, Hybrids, and GMOs from the Suburban Vegetable Garden blog. This piece explains the difference between these three types of seed. Here is an excerpt from the post, written by Eddie Snipes: A hybrid is NOT the same as a GMO. A hybrid is created when the pollen of one variety is used to pollinate the stamen of a different variety. While some varieties of heirlooms were derived by growers keeping only the seeds from their favorite plants, other heirlooms began as hybrids. Once a hybrid is stabilized, it is no longer considered a hybrid and in future generations, it will be considered an heirloom. GMO is lab-created. Instead of selective breeding or cross pollinating, desired traits are engineered into the plant by artificial means. It is man-made introductions in the lab. 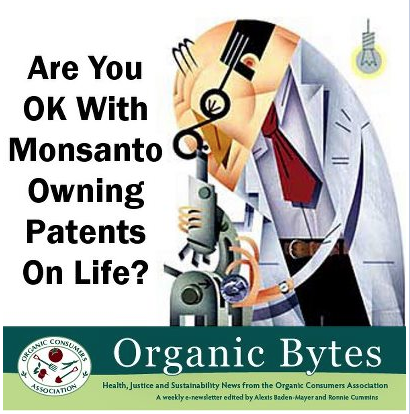 GMO plants allow corporations to select specific traits and even turn off certain traits in the lab. Hybrids are no different than what happens in nature. Bees introduce pollen from one plant to the other. Creating a hybrid is being intentional about cross pollinations instead of hoping a bee will do it for you.